For a growing number of drone owners, public airspace seems to have become a private playground – or commercial marketplace. But some major atmospheric changes are now on the not-too-distant horizon. While unmanned aircraft are flying in a sort of Wild, Wild West of 'blue yonder', that’s now giving way to storm clouds of concern over safety and privacy. The Federal Aviation Administration is looking to issue some ‘rules of the road’ -- and so are California lawmakers, joining counterparts in several other states. Meantime, as ingenious as the San Diegans who built Charles Lindbergh's "Spirit of St. Louis", those now propelling the modern drone industry are involved in dozens of local ventures that mostly fly 'below radar' -- waiting for regulations that have been long in coming. Their guarded outlook, explains Lisa Halverstadt, who covers the fledgling industry for Voice of San Diego, is this: "Once there are rules, they may be willing to follow them. But they don't want to hold back, or slow innovation of any sort and assume there are going to be rules that may not actually play out." Says aviation law attorney Robert Griscom, a retired FAA investigator: "I think very likely where it will go is that the federal government will require some sort of certification for the operators of these things." While weighing how to regulate commercial drones in "low-risk, controlled environments", the FAA limits hobbyist drones to altitudes below 400 feet, and at least five miles away from airports -- within sight of their operators. But under a bill introduced by San Diego County Assemblywoman Marie Waldron (R-75th District), the state of California may wind up creating its own rules task force. Depending on the scope, any regulations such a group might come up with could be preempted by Uncle Sam. Should certified transponders be required for hobbyist drones operating under 400 feet? Should manufacturers install software to keep the aircraft from reaching higher altitudes in busy airport locales? 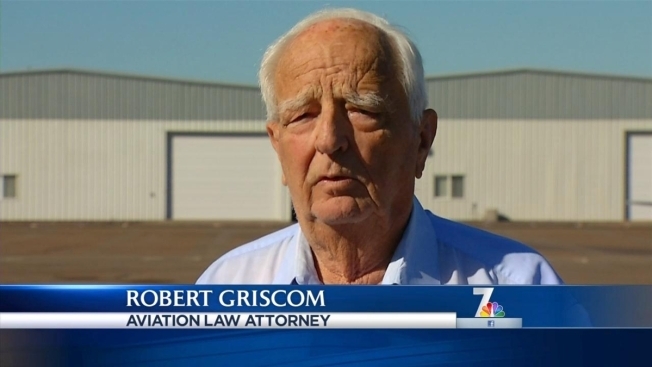 ”I think the wise approach is to keep the pressure on the FAA and let them get this thing put together properly,” Griscom told NBC 7 in an interview Monday. “...before the states jump in and say, ‘We're going to do it ourselves’." Halverstadt offers this caution about the Waldron’s proposed state regulatory task force: "If California does have more rigorous rules for drone use than other places, you'll probably have a lot of industry leaders speaking out against that -- saying 'Hey, we're really a hotbed of innovation here. You're trying to stymie us'." Besides basic aviation safety and privacy issues, there are concerns about drones being deployed by drug traffickers and terrorists. Even if federal and state regulations wouldn't serve as a deterrent to those threats, it's one more question mark hovering over an industry that's filled with opportunities -- and potential, unintended consequences.